Home > Politics > UK > Worst Local Campaign of GE2017? Who’s running the worst local campaign in this weirder than weird general election? Bella’s competition offers extra points for use of terrible bar charts, leaflet typos, font errors and hyper-negativity. Bonus points for hiding the name of your actual party, completely irrelevant claims and other disinformation. Your nominations please, by email or in comments below. 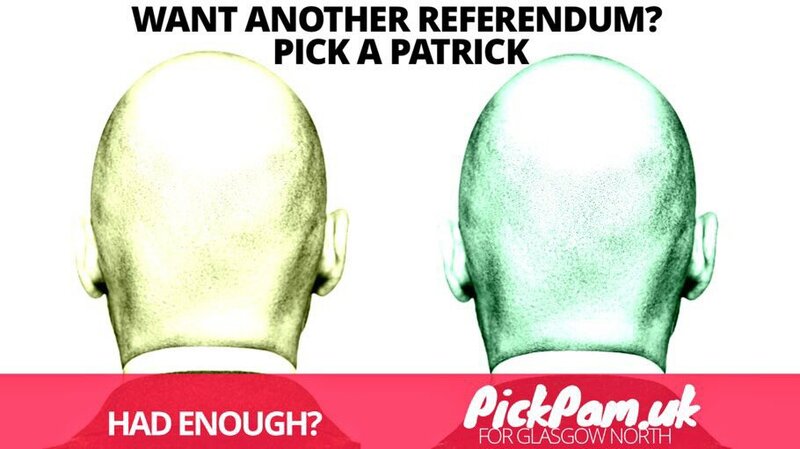 An early leader emerged with Pam Duncan-Clancy in Glasgow North, who seems to be running on a campaign based on the fact that the SNP candidate (Patrick Grady) and the Green party candidate (Patrick Harvie) are both bald. It’s two days till Polling Day and I have received two mailings from the SNP, one from the Libdems and nowt from Labour or the Tories so as a voter in Edinburgh East I can’t contribute to this contest… just saying. Pam Duncan-Clancy’s seems to be a choice between a candidate who is dying of liver failure and one who has already gone.